Eighty percent of Americans will experience back pain at some point in their lives. Lower back pain is a cause of significant disability and loss of work in the United States. Causes include disk herniation, disk bulge, degenerative disk disease, low back strain or sprain, spine tumor or spinal infection. Keystone Spine and Pain Management Center is committed to helping patients regain function when they experience back pain. The spine is the most important parts of your body. Without it, you could not keep yourself upright or even stand up. It gives your body structure and support. It allows you to move about freely and to bend with flexibility. 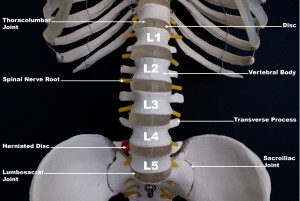 The spine is also designed to protect your spinal cord. The spinal cord is a column of nerves that connects your brain with the rest of your body. Without a spinal cord, you could not move any part of your body, and your organs could not function.